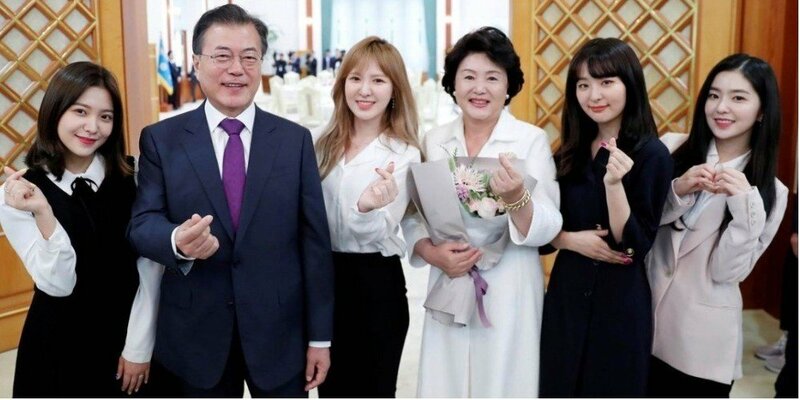 Red Velvet talked about meeting Kim Jong Un. The girls mentioned meeting Kim Jong Un, and said, "We knew he was coming to the concert but we didn't know we would actually get to meet him. He was very warm." They added, "Pyongyang or the South side of Panmunjom wherever it may be, we want to stand on such a stage again."